Have you ever wanted to design your own fabric but thought only the “experts” could do it? Suzy Williams (as seen on The Quilt Show) is debunking this myth and proving that anyone (yes, even YOU!) 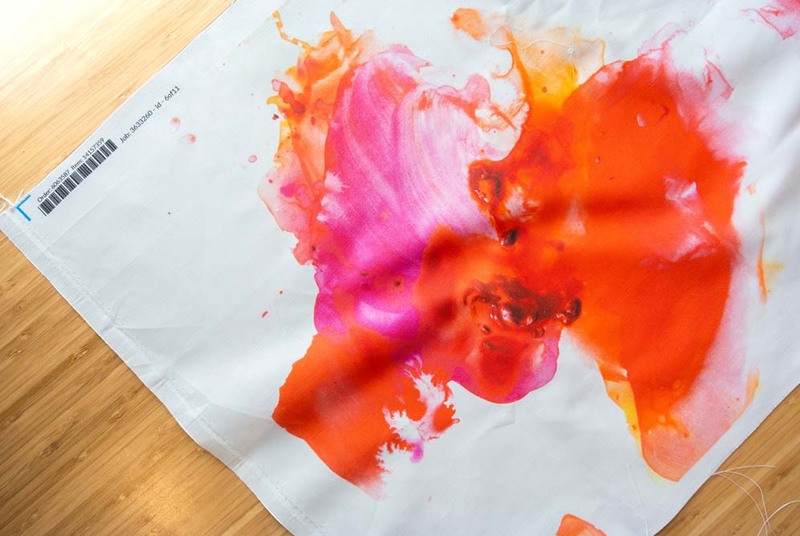 can design their own fabric with just a few art supplies. Suzy: Designing your own fabric from start to finish sounds like a daunting task, even for skilled artists. But what if you don’t think of yourself as a “skilled artist,” just a fun-loving quilter? That’s the title I typically give myself, so making and designing my own fabric hasn’t felt like an attainable goal. I’ve taken lots of classes on dying, drawing and painting, but to have that translate onto different types of fabric was the missing link I couldn’t seem to connect. My first thought was to take my cheap watercolor paints and paint directly onto the fabric. I tried all of my favorite watercolor techniques and even introduced some highly saturated inks. My next thought was to ditch the fabric element altogether and stick to painting on paper. I had lots of fun painting, cutting and creating cute little paper mini quilts, but alas, we quilters love fabric. My paper mini quilts could only entertain me for so long. I was reintroduced to Spoonflower through a fun collaboration we did together last summer. You can still get that free quilt pattern here! After spending some time exploring Spoonflower, I realized that I could upload pretty much anything and print it on a piece of fabric as small as an 8″ swatch. Whaaaaat??? Are you saying I don’t have to mess with repeating patterns? Oh this just got very exciting for my little mini quilts. Ready to see how easy it is? A couple watercolor brushes (different sizes. I like to have at least one that’s pretty big so I can lay down fast color in large sweeping motions. 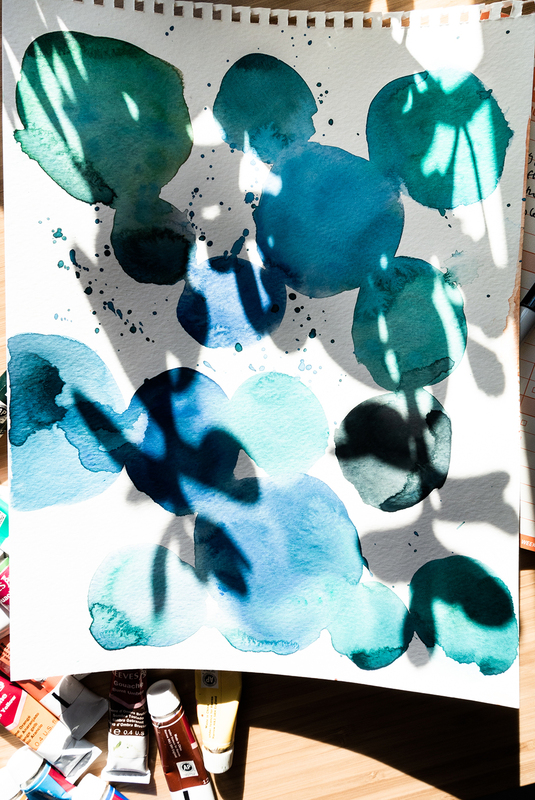 In a nutshell we are going to paint a simple watercolor, upload a photo of it to Spoonflower, then print it as a fat quarter. Easy as 1-2-3! Step #1 – Throw down some paint! The number one thing to remember is that you will be cutting this painting up. 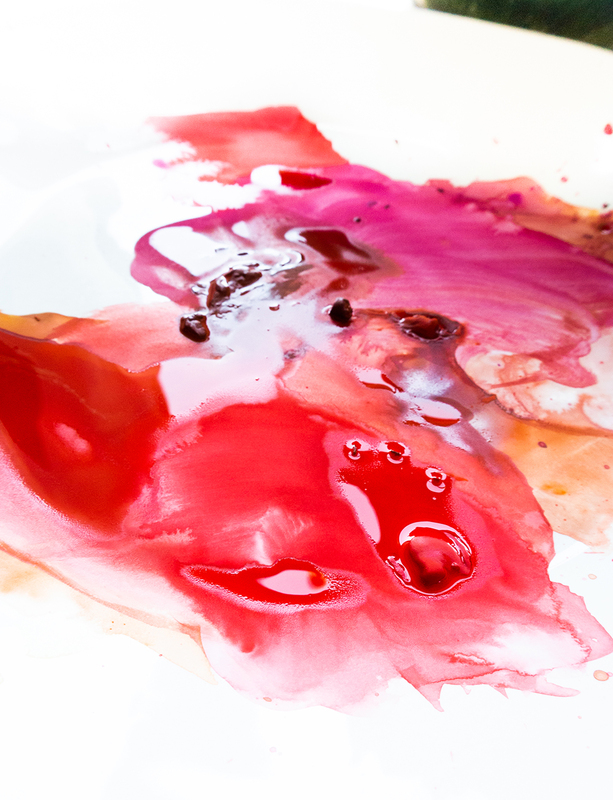 Don’t labor over chintzy, detailed flowers or mixing your paints just right. 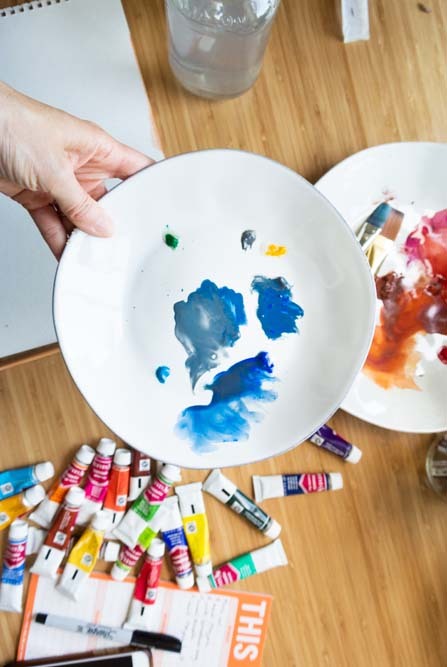 Throw down lots of paint in a big way! 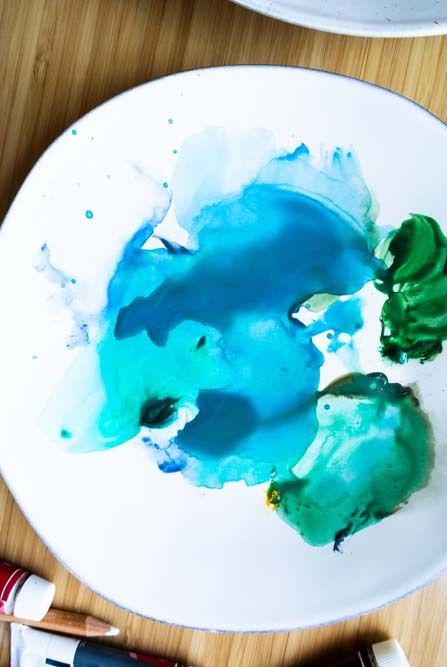 Put some energy and excitement into those brush strokes! If you’re having trouble releasing yourself to get wild, play some upbeat music and shake those hips. Ain’t no party like a paintin’ party! Step #2 – Photo time. Do you remember back when I was painting directly on fabric and it was so exciting to see the wet paint soak into the fibers? Well, if you have your cell phone or camera nearby, before your paint has a chance to dry, snap a few photos. Paint looks pretty different when it’s dry and you may want a photo of it while it’s shiny, bright and still damp. I even think it’s fun to take some close up shots of the wet paint on the plate! What’s so fun about this process is that there are NO RULES. Zero. Any photo you take can be used. For example, I was photographing one of my insane little paintings and just before I clicked I noticed that the plant sitting on my desk was casting an interesting shadow. I moved my painting over a few inches so that it was underneath this little succulent shadow and you know what? It looked kinda cool! SNAP! Here’s that photograph. Step #3 – Upload to Spoonflower, pick your fabric and print! Once you have a photo you like, upload it to your Spoonflower account. From there you can adjust the repeat on your design and choose your fabric type and size. I recommend a fat quarter if you want to recreate my Sew Mojo mini quilts. If you plan on using this in a quilt, I suggest trying either the Kona Cotton Ultra or the Cotton Poplin Ultra, the same fabrics I used for this tutorial. However, if you plan on making a funky little mini quilt, try out lots of different fabrics to see if there’s one that gives you a cool texture! I really like the way the Linen Cotton Canvas Ultra looks. It has a beautiful, big weave. Once you make your purchase, anxiously wait by the front door for the delivery person to arrive. This could take a few days, so have a comfy chair and snacks prepared. It’s going to feel like your birthday when you finally rip open that fabric. The printing is shockingly true to the original and you won’t get a soft pastel brown like you would from painting directly on fabric. Another perk? 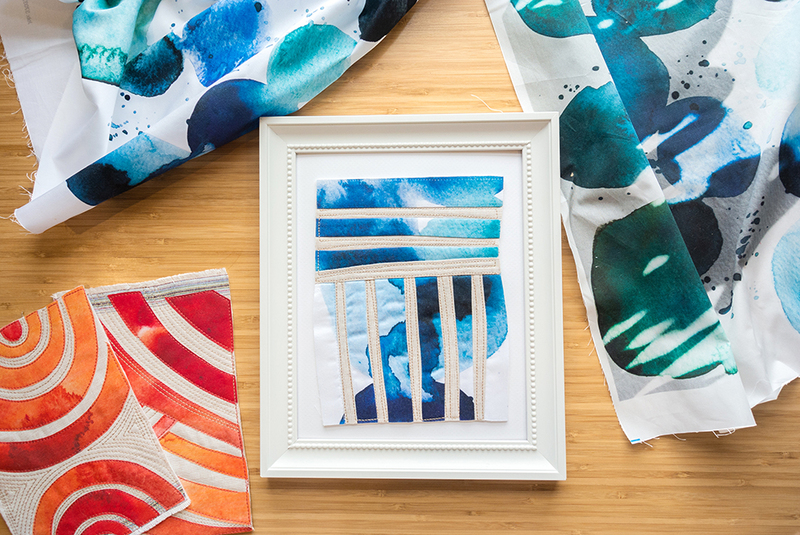 If you have a painting you love, print it multiple times and even on multiple fabrics – cause there are NO RULES! 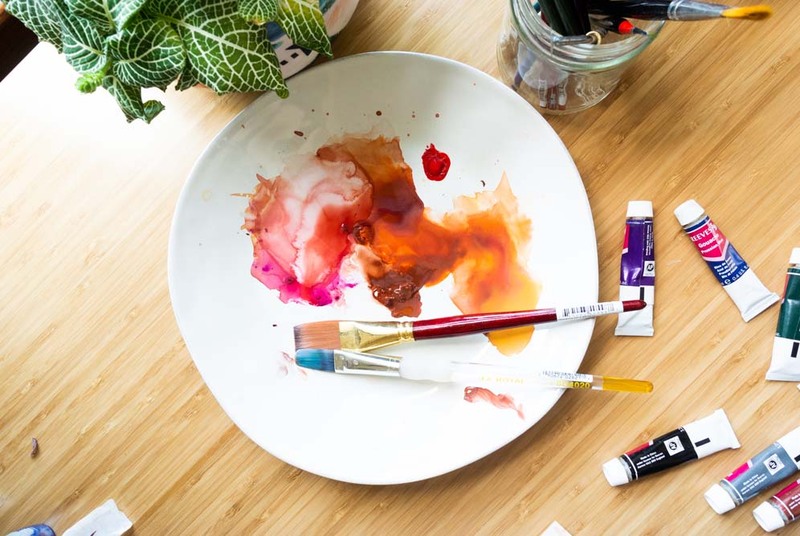 No time to design your own watercolor artwork? 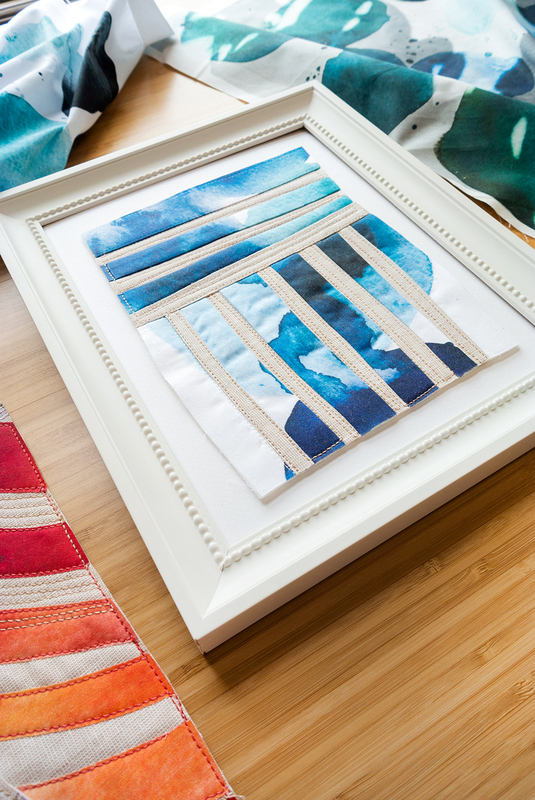 Recreate Suzy’s mini quilts with watercolor designs from the Marketplace. Now go get your paintin’ party on and use #PaintedFQ on Instagram to see cool stuff other people are making! 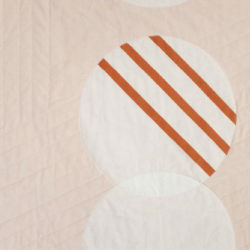 Suzy Williams is rooted in a deep love for the heritage and tradition of quilting and a desire to craft unique, contemporary textiles. 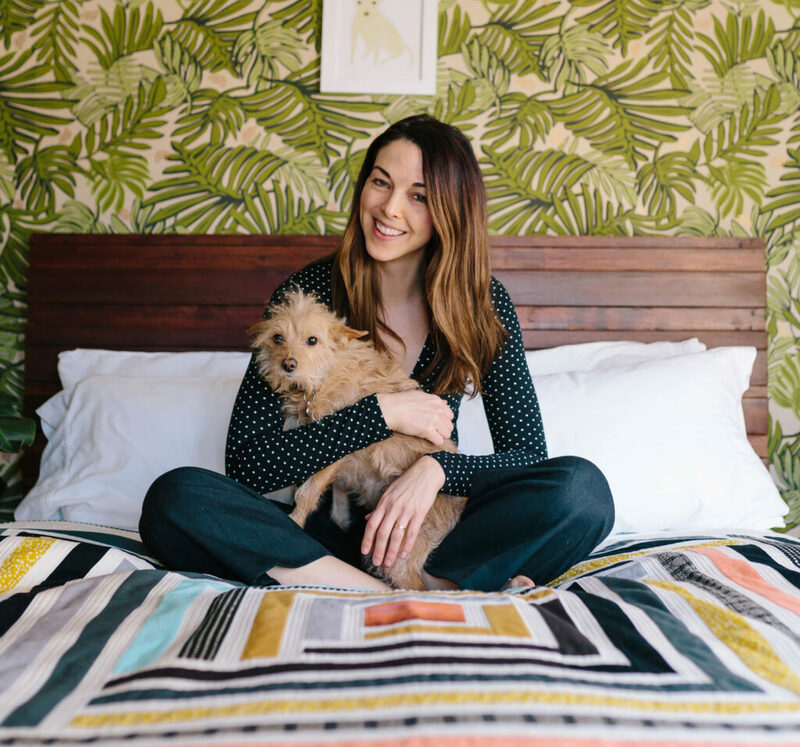 With a BFA in visual communications, Suzy uses her graphic design background to transform conventional sewing into a fresh, personal interpretation of minimal, modern design. Yes, Suzy is super cool and inspiring! I am not a quilter, but I took her Sewing Mojo Minis class when I was down in the creative doldrums and came out of it with my first mini quilt. Great tips here for anyone to try. 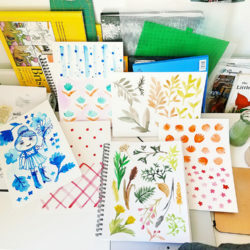 I enjoyed finding out about the quilt artist Suxy about her great ideas to create your own fat quarters from just playing with watercolor paints!!! 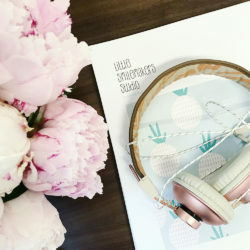 And then having them printed onto fabric through the spoonflower company I can’t wait to find out about using my photographs or seeing what else they print on and even putting artwork or photos onto wallpaper through another company if spoonflower doesn’t do wallpaper.!!! 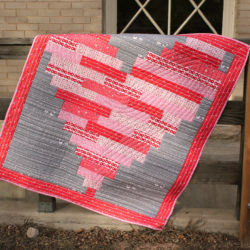 The article made me want to make fat quarter quilt art to frame , what a great idea! And I look forward to seeing and learning more from Suzy Williams quilting techniques and great ideas!!! 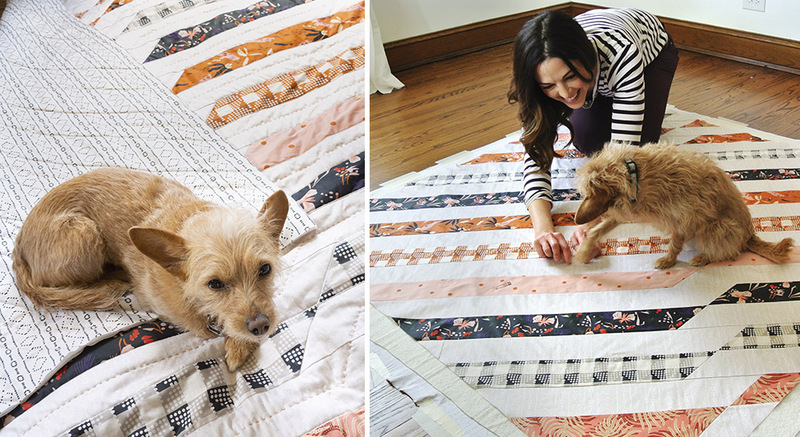 We’re so glad you enjoyed learning more about Suzy and her creative quilt skills! Do you print fabric of the Blue Willow pattern? 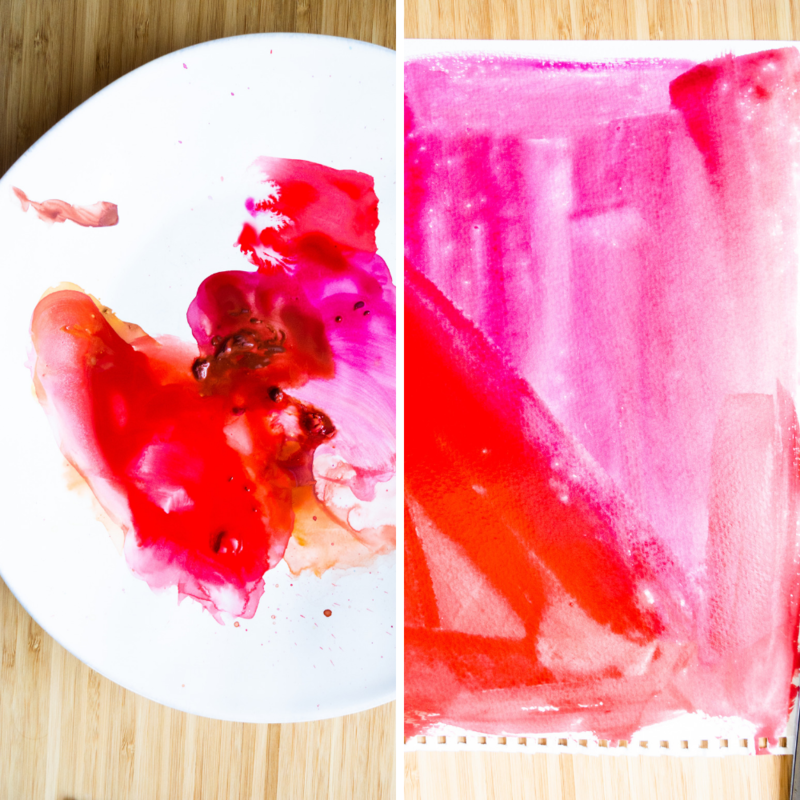 How to Turn Your Watercolor Artwork into Fabric – loved this blog. 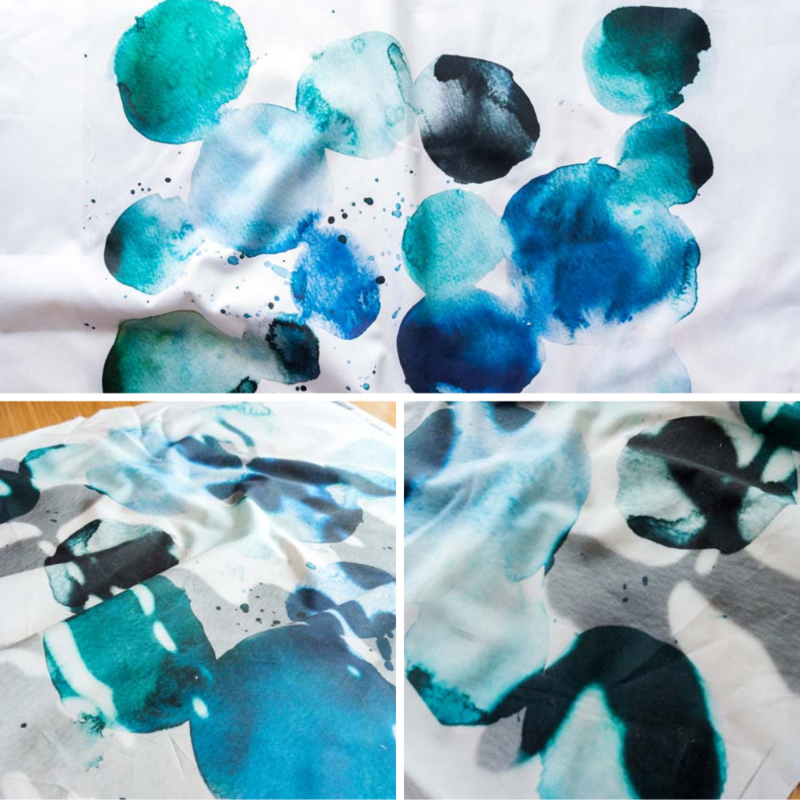 I am not a quilter but loved the idea of printing watercolors on fabric. I do have a few questions. How do I get to the pattern/instructions for making a mini quilt? How do I get to “See how to turn this into this” above? What is a fat quarter? Thank you. That was very helpful. I will check out “SEW MOJO”. I have a lot of fun with Adobe Sketch since it has a wonderful watercolor brush! It’s fun for a sketchy look with watercolor brush. You can even layer and the colors bleed together! This is very inspiring, I’m glad it can be this simple (and fun) to create a fabric design.